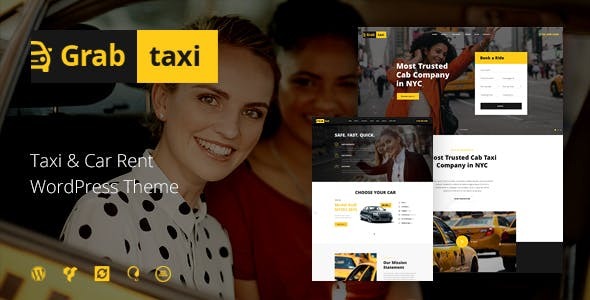 Grab Taxi is a stylish, modern and powerful WordPress theme with high-class responsive, fresh & clean design. It is perfect for online taxi ordering company website or application. You can also easily use this template to build a car rental service agency, auto mechanic service firm, or car repair shop bureau. The theme comprises the most useful features to ensure your taxi business runs smoothly.